The famous classic - Purple White Script or Zi Bai Jue has memsmerized Feng Shui enthusiasts and practitioners for centuries. 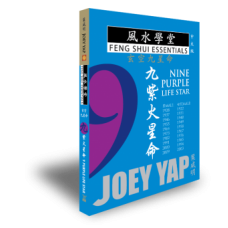 The script, believed to be originally conveived in the era of Tang Dynasty, contains the core screts to the practice and interpretation of the Nine Purple White Stars, popularly used by all Xuan Kong Feng Shui advocated, from ancient days till the current times. 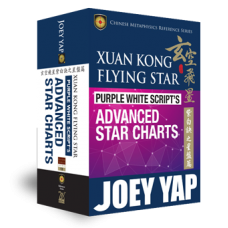 The Purple White Script is written in two segments: the Upper Scroll, which conceals the secrets Chart Plotting techniques of the Advanced Purple White Star known as the Advanced Star Charts and the Lower Scroll which disclosed the intepretation of the Nine Stars. The Best Kept Secret of Xuan Kong Feng Shui. Despite its unresolved pedigree, the classical text of Purple White Script has made it to the haloed list of mandatory classics for advanced Xuan Kong studies. This book is the result of well-researched and clearly written dissertation on the Script. 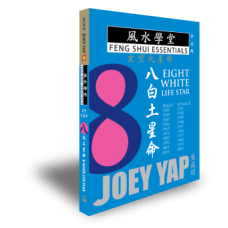 And for the first time ever, it is made available to English-speaking readers, making this book a definite must-read for Feng Shui enthusiasts everywhere. 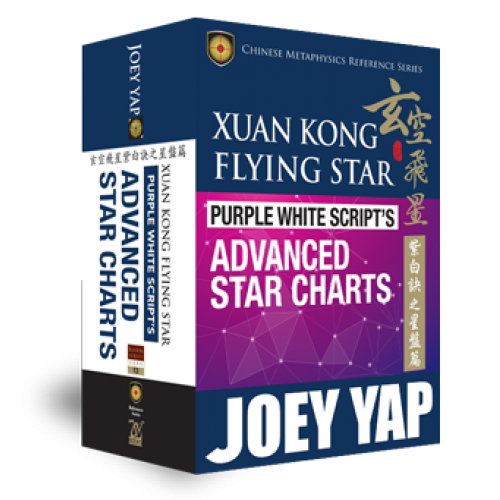 - An introduction to the fundamental concepts and theories of Xuan Kong Divination and the Advanced "Replacement" Star Method.